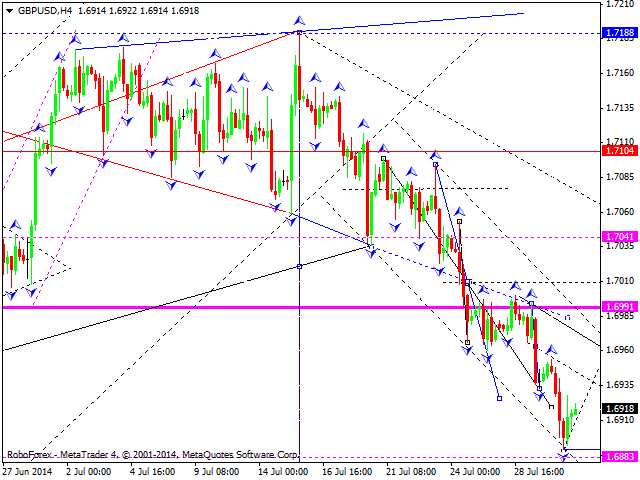 Euro has started its ascending movement under the influence of recent news. 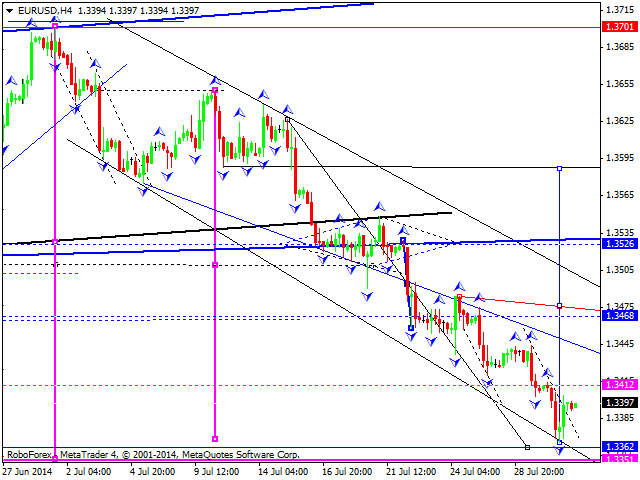 Basic scenario is that price may start moving towards level of 1.3590 with the first target at level of 1.3400. Alternative scenario is that price may reach new minimums and only after reaching new minimums start ascending movement. Pound has started its ascending movement under the influence of recent news. Basic scenario is that price may reach its previous level of 1.7040. Alternative scenario, in our opinion, is that price may reach new minimums and only after reaching new minimums start ascending movement. Franc has started its descending movement under the influence of recent news. 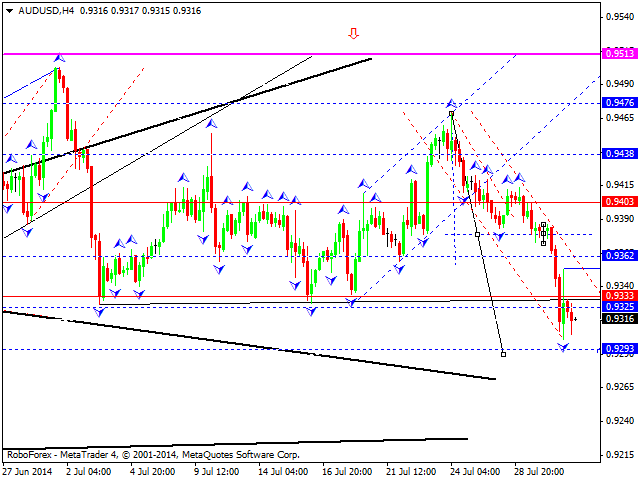 Basic scenario is that price may reach level of 0.8960. Alternative scenario is that price may reach new maximums and only after reaching new maximums start descending movement. Yen has reached local and strategic targets due to the ascending wave extension. 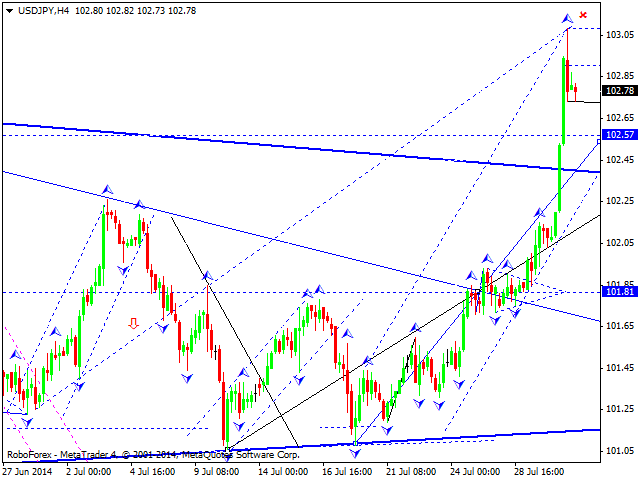 Wave has three element structure and is considered by us as correction. Basic scenario, in our opinion, is that price may form new descending wave towards level of 101.70, break this level, and continue its descending movement towards level of 100.50. 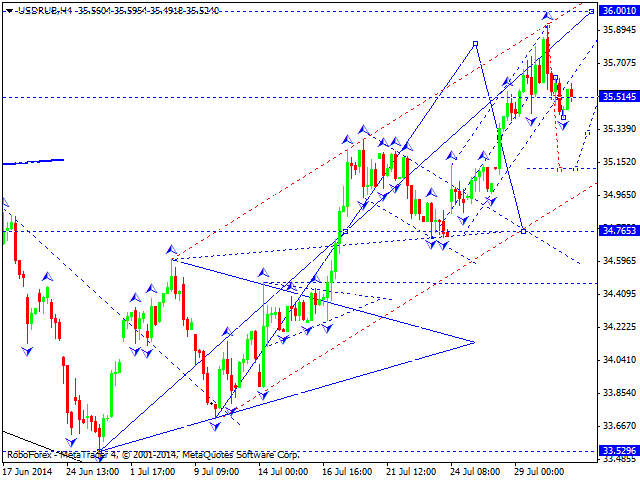 Australian Dollar has extended descending channel and reached the target of correction descending movement. 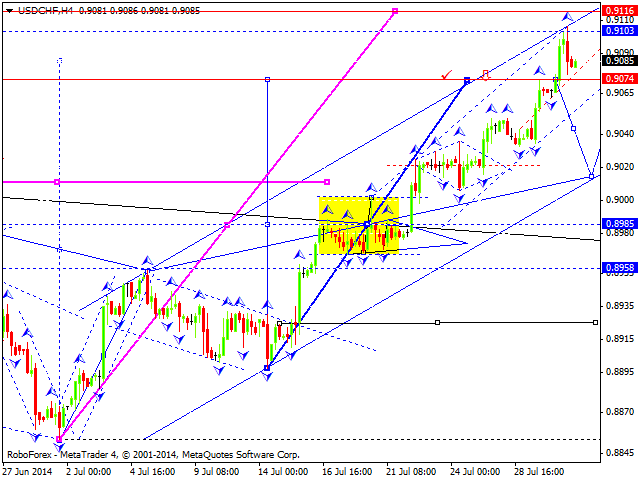 Today, price may form ascending wave towards level of 0.9510. As an alternative scenario, price may reach new minimums and only after reaching new minimums start ascending movement. Ruble is forming descending wave towards level of 34.80. Descending movement may signal new correction. Then, we expect one more ascending structure towards level of 36.00 that may complete ascending wave. 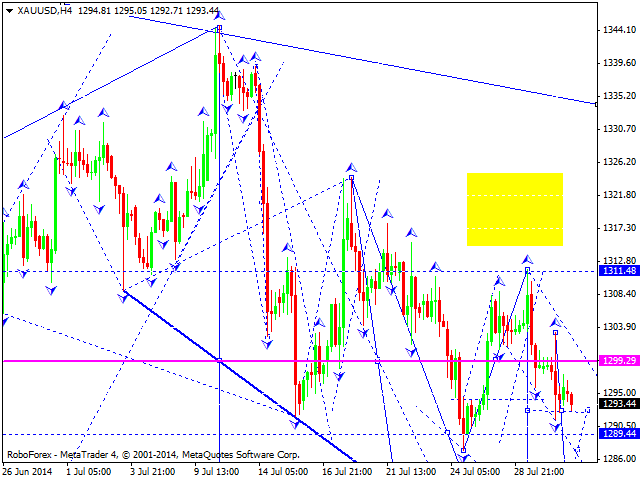 In our opinion, the next structure is the descending structure with price moving towards level of 33.20. Gold continues its descending movement. We expect consolidation with breakout to the downside. The target is level of 1275.